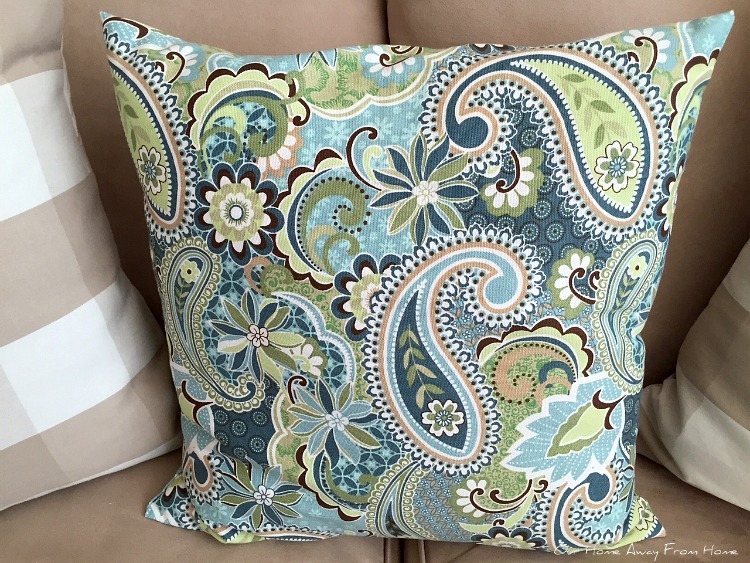 I found this fabric last Spring and I figured the bright green and blue would work for the warmer months. 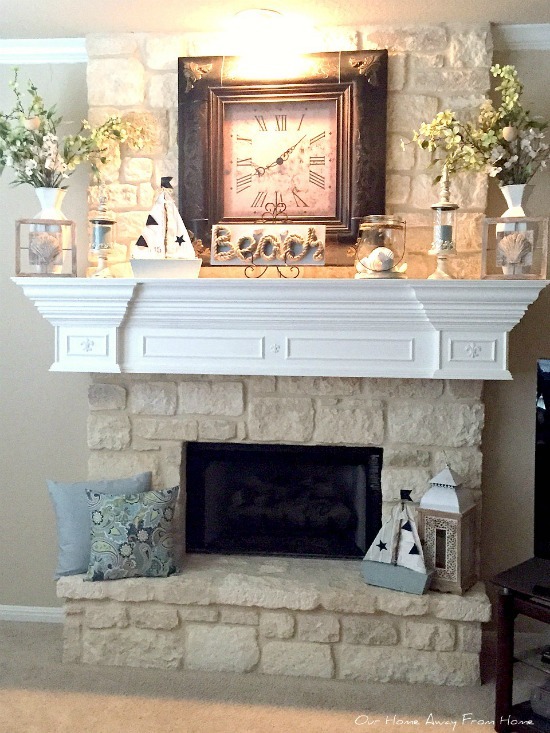 I used those same colors to decorate the mantle. 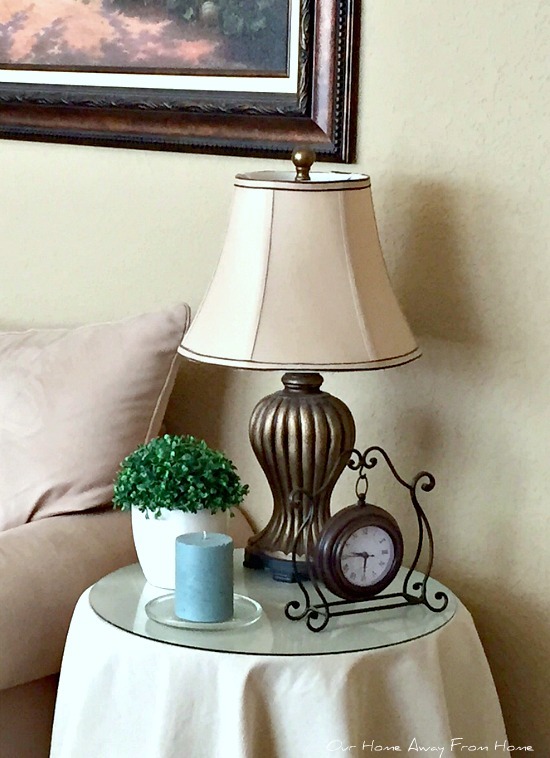 And I added a few Summer touches on the side table and coffee table. 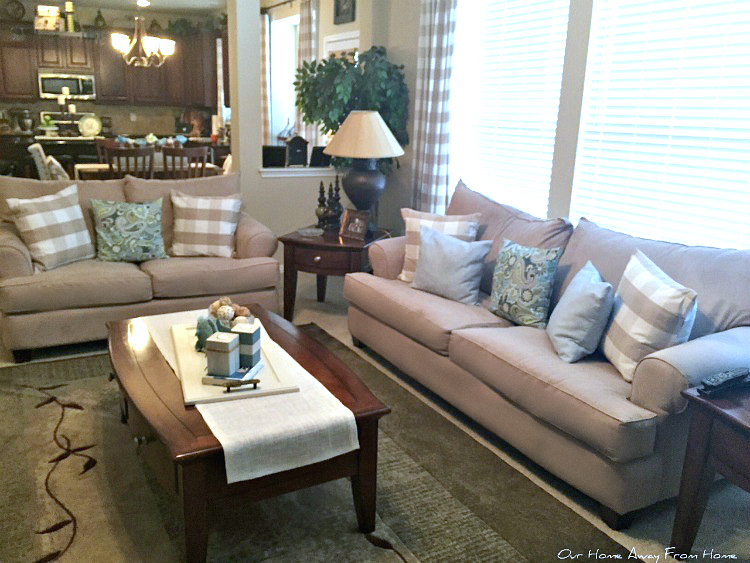 It is simple, but it has given our living area a lighter look during the warmer months. Thank you all so much for your visit! Hi Maria! Everything is so beautiful! 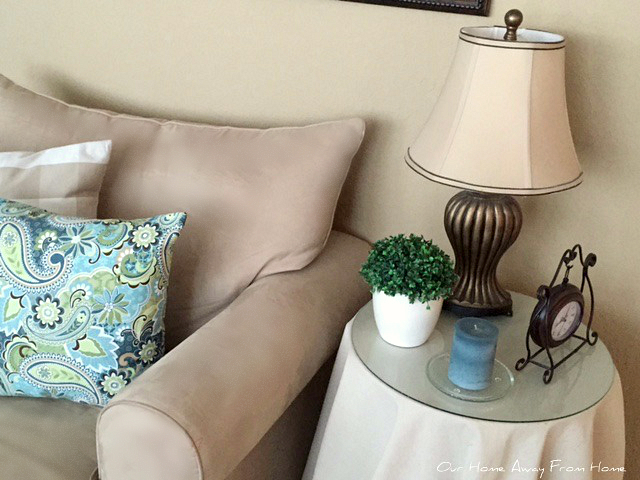 I love your decorating sense and your home is so lovely, my friend. 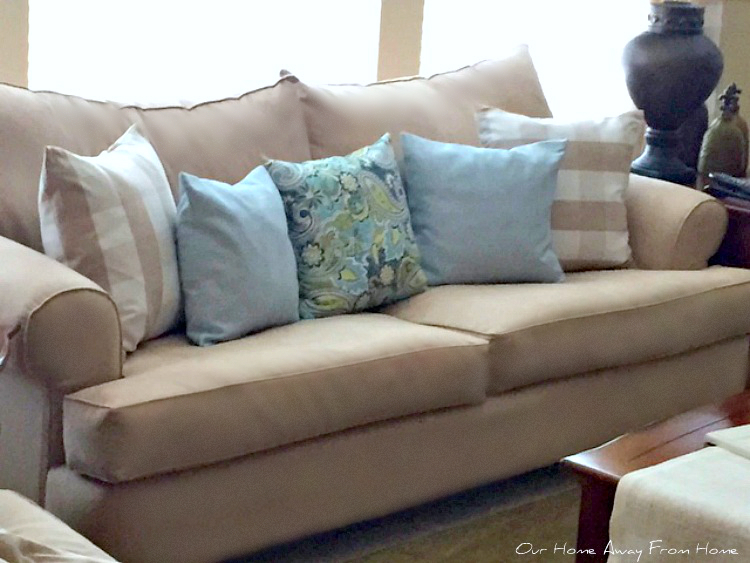 So pretty and I love your soft colors. I like it- it's fresh and cool which should psychologically help deal with the heat! We unlike you have been having mild summer. We hit the 90's for a few days and that was it! 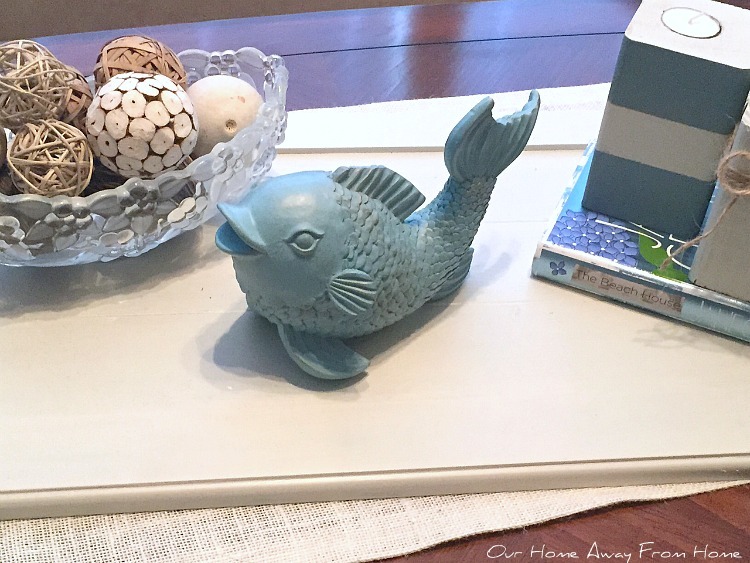 I'm seeing plenty of fall decorating items in the stores but I'm holding off on fall deccorating as long as I can! I hope it cools down for you soon. 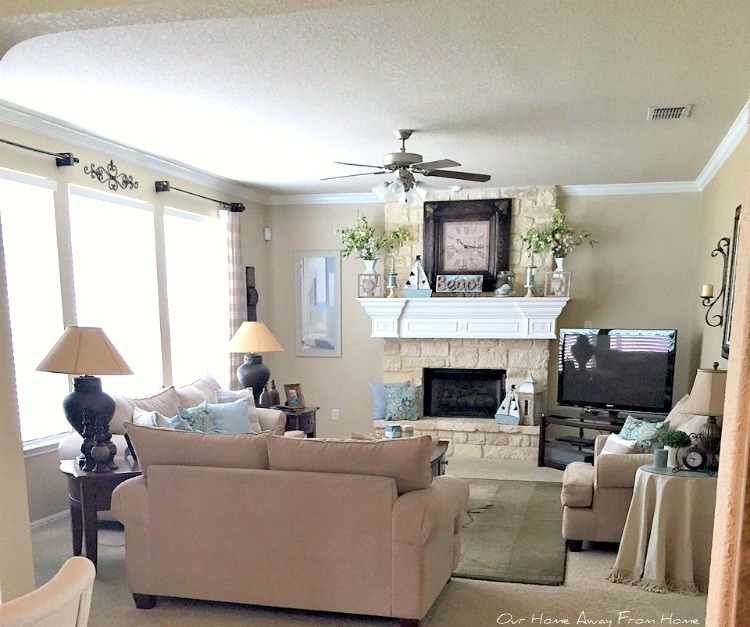 I've always loved your family room and those blues and greens are perfect for summer! 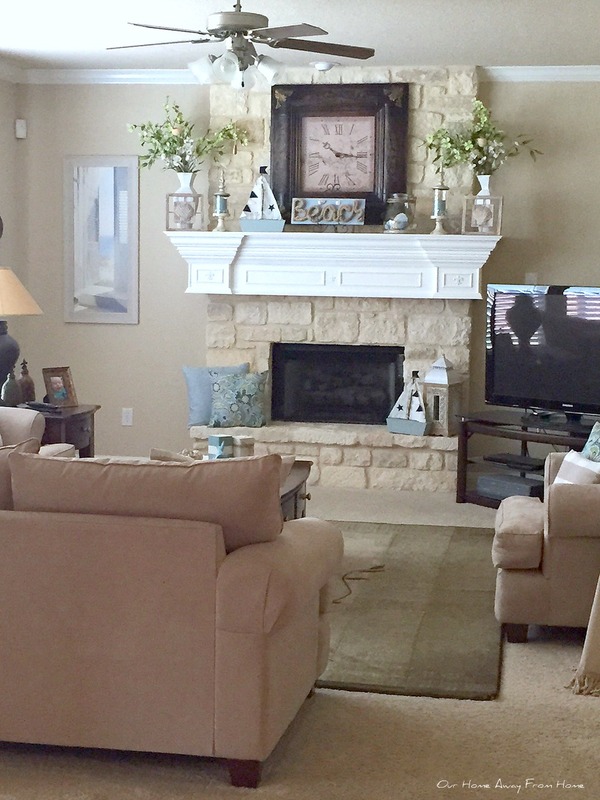 Your home always looks so warm and elegant Maria, I just love that mantle, too!! 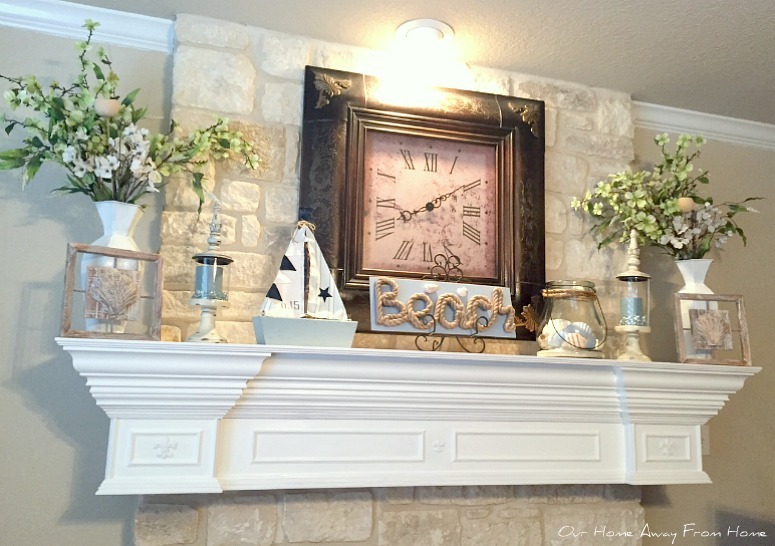 I'm so behind in taking pics of my summer décor and now it seems, everyone's already moving on to fall - which is why I totally enjoyed seeing your summer living room today. 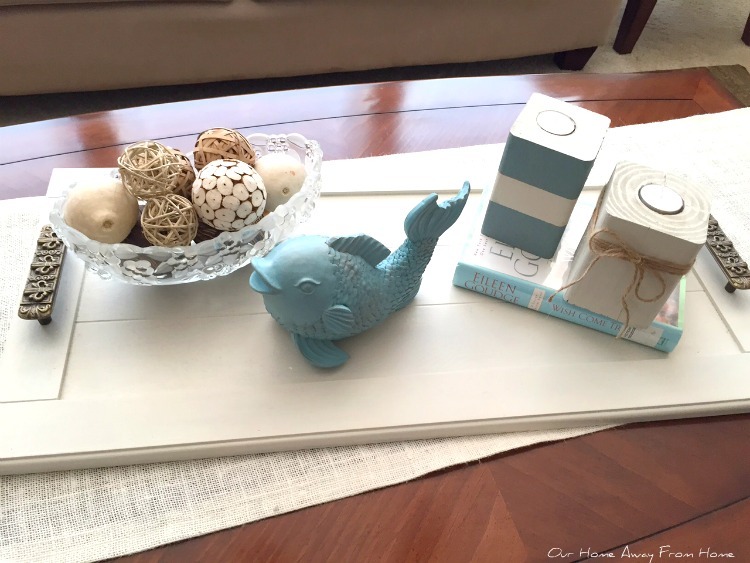 Love the cool and airy colours you chose along with the wonderful beach accents. 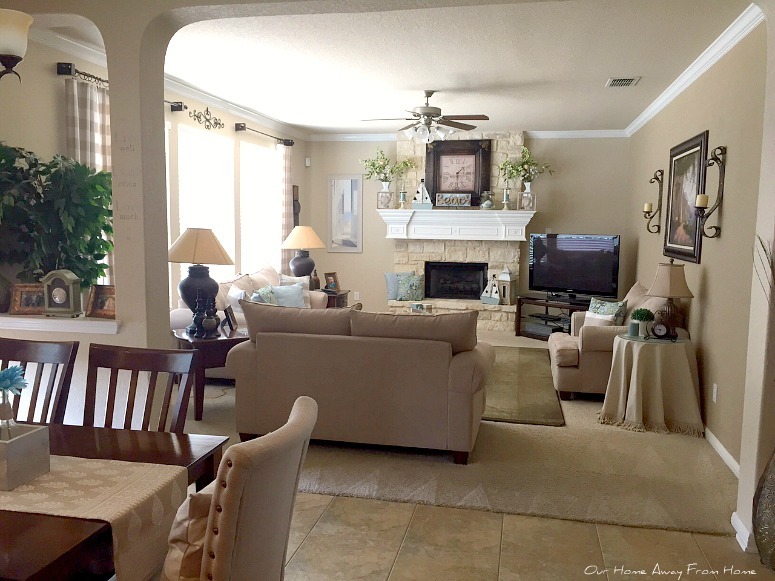 No matter what season you decorate, Maria Elena, you always hit the mark in making your home look so lovely.